Punta Cana destination wedding are always a wonderful event. And this time was no exception - everything was romantic and beautiful. Our photographer in Punta Cana, Anastasia Knyazeva, took exquisite photographs of the newlywed couple in the city of millionaires at sunset. The sea, yachts, palms, and little two-story orange houses fit perfectly into the wedding photos. The setting sun illuminated everything with orange light, giving the photographs a warm atmosphere. It was a marvellous evening in a marvellous place. Days like these remain in memory forever. 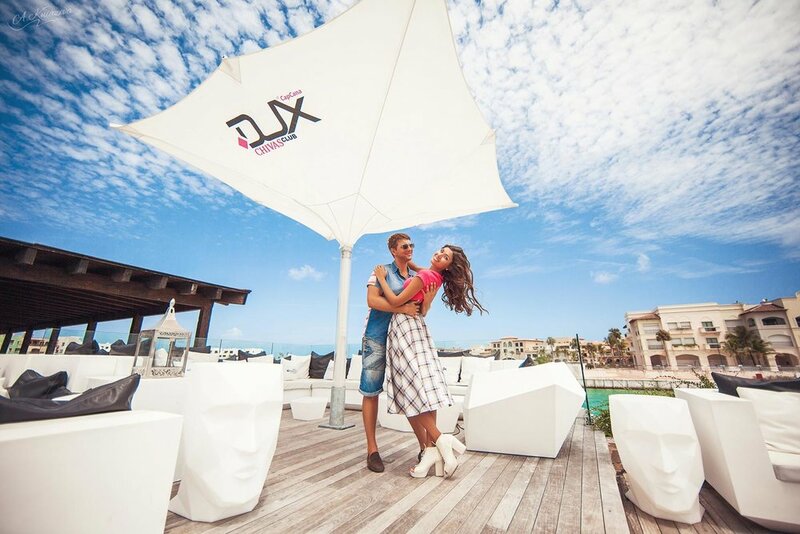 It is warm all year long in the Dominican Republic, so come here, and together we will take a romantic stroll and a large amount of fascinating photos that will remind you of this wonderful day. If you are still looking for a wedding venue, the Punta Cana destination wedding is an excellent choice! Every year thousands of couples come here from all over the world to hold wedding ceremonies. Every hotel in the Dominican Republic is armed with an arsenal of the most diverse offers required for every wedding, including wedding arbours, floral arches, bridal bouquets, wedding decorations, restaurants and many more. In addition, the Dominican Republic has an abundance of events agencies that specialized in the planning and organizing of wedding ceremonies. Your destination wedding will be organized in a restaurant of your choice on the shore of the ocean. Whether you want to fly into the Dominican Republic just the two of you or as a big group, it doesn’t matter. You can hold a wedding here with as many guests as you wish. The weather in the Dominican Republic is the same all year long. There is barely any difference between summer and winter, so you can plan your wedding any time. The blue sea, green palm trees and white sand will always welcome you. Hold the wedding of your dreams in the perfect Dominican heaven. In turn, we will preserve the best memories of this wonderful day so that you can enjoy it for the rest of your life. On this page you can view Wedding in Dominican Republic reviews. Our videographer will record and edit your wedding film, and create a short wedding trailer that you can share with your friends on social networks. Numerous likes, smilies and wonderful comments are guaranteed.